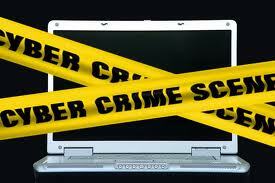 How “cyber-ready” is your service? Last week the World Economic Forum launched an initiative to help protect the digital environment by improving global resilience to major cyber risks. 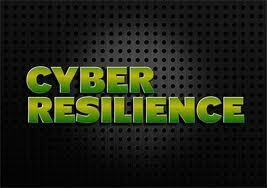 The “Partnership for Cyber Resilience” is a set of shared principles, signed and endorsed by Chief Executives of companies which recognize the interdependence of all organizations in combating cyber risks in a hyperconnected world. I recommend that you watch the first 5 minutes where Alan Marcus outlines this critical protection issue and commitment required from CEOs to cyber security. I recommend that you read the short 15 page PCR Principles and Guidelines document which includes a C-Suite Checklist on page 11. Additionally, BBC News Technology reported this week that Israel, Finland and Sweden are seen as leading the way in “cyber-readiness“, according to a major new security report. The McAfee-backed cyberdefence survey deemed China, Brazil and Mexico as being among the least able to defend themselves against emerging attacks. Page 167 – The requirements for resilience in the IT infrastructure should always be considered at the time of service design. However, for many services, the resilience of the service is only considered after it is in live operational use. Incorporating resilience into service design is much more effective and efficient than trying to add it at a later date, once a service has become operational. So you should now be aware of the new “Partnership for Cyber Resilience” initiative which will engender support among industry leaders to a common set of guidelines and principles. It is of interest that 3 of the 5 members of the Steering Board are CEOs of global Technology firms – BT, CA and TCS. The requirements that they have helped shape will need to be addressed by Global and National Service Providers. In essence, the key question an internal / external service provider should ask is how “cyber-ready” are we to “protect and serve” the Business? 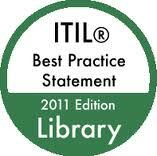 Will the new ITIL Practitioner qualification create trained Specialists or Generalists? Who will take the Service Management “Moral High Ground” in 2014?